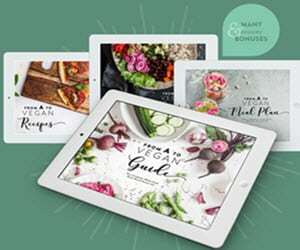 On this episode of the Vegetarian Zen podcast, we interview Megan Cain of The Creative Vegetable Gardener. She has been featured in Apartment Therapy, The Organic Gardner Podcast, the Art of Non-Conformity blog, and the PBS’s Victory Garden Edible Feast. Megan is an urban gardener and garden educator, and is the author of two books: Super Easy Seed Starting and Super Easy Food Preserving. She’s on the show today to share some gardening tips and let you know about a gardening challenge she’s hosting in August (this month). It’s not about the garden. It’s about the gardener. I would love to learn about food preserving. I think it will be a great money saver. I know, Natalie! Megan’s book is really helpful for this. I can’t wait to try some of her techniques. Thanks for your comment! Thank you for all of your helpful tips and for getting my mind going on how to make a garden last longer. You are very informative, and easy to listen to. Thank you for all of your helpful tips and for getting my mind going on how to make a garden last longer. Preserving food always takes me back to watching my grandmother do it, great memories! You are very informative, and easy to listen to. 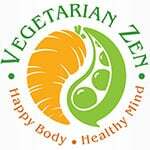 Thanks, Vegetarian Zen ladies, for having Megan on the show. This year, I put up some banana peppers, and it is so much fun learning to preserve what you grow in the garden. Oooh…banana peppers. Vickie would love those! If I can ever get peppers to grow well, then I’ll definitely be preserving some. Thanks for your comment! I would love to learn how to successfully GROW tomatoes…so it sounds like you’re one step ahead of me! That’s a great question about varieties for preserving. 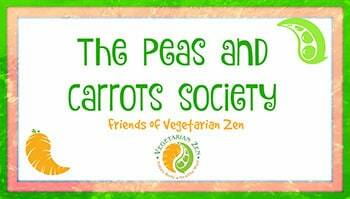 Megan Cain is a member of The Peas and Carrots Society on Facebook. You might pose that question to her. I’m sure other members would love to hear the answer as well! Thanks for your comment, we’ll be announcing the winner of Megan’s book tomorrow!